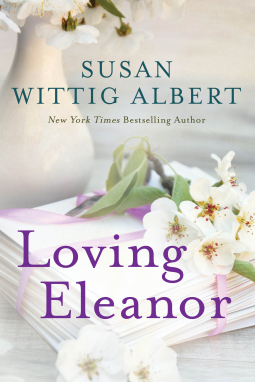 This book starts out with Lorena Hickok more commonly known as Hick who learns of Eleanor Roosevelt's death and is heartbroken. She has someone take her to the grave sight and leave flowers for Eleanor. Not wanting any part of the media circus that ensues at the funeral. Then someone tells her that she should write a memoir about her time with the First Lady. It would accompany letters shared between the two women should they ever be released. Hick met Eleanor for the first time in 1928 when she was sent to cover the Democratic Ticket which was a big deal back then especially for a woman. But Hick was no ordinary woman in the slightest! This book spans a four term president and after wards. We learn so much about the relationship between Hick and Eleanor the people they meet and interact with as well as their own relationship. This was such a journey to go on reading about the past and things that happened. I thought it was well written and so intriguing to learn about these two women who seem very larger than life. In a time where women are still suppose to be quiet and well mannered here are women who are very much involved in their own causes and not just cooking in the kitchen. Which I found refreshing to read about their passions and desires! 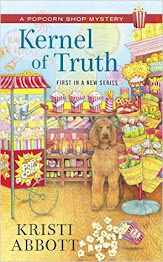 This book finds Harry involved in a car accident narrowly missing herself and watching as Barbara Leader winds up dead. Harry has trouble buying the explanation of the death. Then the book goes back to the 17 hundreds which shows the story of a family who are helping a couple escape from a family after a brutal murder of the husband of the household. This book goes back and forth as we learn what happened way back when and what is currently going on! I really enjoyed this story it was fun to go back in time and be caught up in the present as well. It was definitely a worthwhile adventure to go on! I especially loved when the animals added their opinions it was too cute! 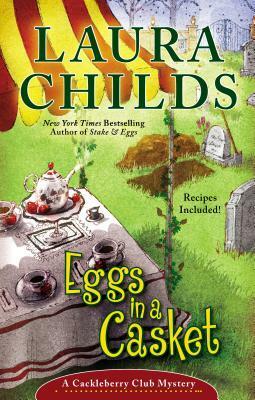 In this book Toni and Suzanne stumble on a dead body while bringing somethings out to a historical society event. What they didn't count on was a dead body. Lester Drummond the victim was also a warden at the jail so there are no shortage of victims! Can Suzanne figure it out in time? Or will the murderer get away free? This was a great story and can totally be read as a standalone as well as part of a series. A lovely adventure to go on where you meet different people in town and learn more about them as well as solving a murder! Can't wait to see what is next! 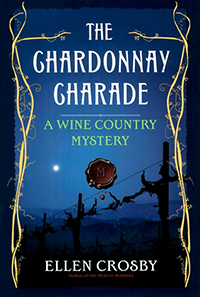 Ellen Crosby's third tale of suspense set amid the vines of Virginia wine country involves a two-hundred-year-old bottle of Bordeaux that Thomas Jefferson may have purchased for George Washington and is turning out to be a wine to die for. It has been a year since Lucie Montgomery took over running her family vineyard at the foothills of Virginia's Blue Ridge Mountains. The Bordeaux Betrayal now sweeps her into a mystery that began more than two centuries ago in France and ends in murder not far from Montgomery Estate Vineyard. When author and historian Valerie Beauvais turns up dead the night after a verbal brawl with a noted wine critic on the grounds of Mount Vernon, George Washington's home, Lucie is certain Valerie's death is related to something she knew concerning the authenticity of the priceless Washington Bordeaux. As Lucie and her eccentric winemaker Quinn Santori bring in the last grapes of the season, Quinn's controversial past becomes intertwined with the murder and the rare wine, testing the bonds of their increasingly close relationship. New neighbors challenge Lucie for allowing a century-old hunting club to use her land for foxhunting; Mick Dunne, Lucie's ex-lover, comes back into her life; and her beloved French grandfather makes an unexpected visit that will rekindle painful memories some would prefer to forget. As Lucie investigates the shadowy history of the Washington wine, she uncovers a web of deceit and betrayal and a long-forgotten scandal that affects not only the international wine world but her own as well. This book follows Lucie Montgomery who is getting ready for an auction of Washington's wine that was never received. Many seem to want this bottle of wine, which for Lucie means more money for kids that really need it. When Valerie tells Lucie she wants to tell her the history of this bottle of wine Lucie reluctantly waits to see what Valerie has to say but when she's a no show Lucie goes looking for her and finds her car flipped upside down with a very dead Valerie inside. Who killed Valerie and why? Lucie's also having company in her french grandfather Luc is in town and adding to the great story that is told. Also we see what is going on with Quinn who seems to be all over the place, and dealing with an ex-wife he'd rather forget. As well as Dominique who is now un-engaged as she and her boyfriend broke up. Joe the ex of Dominique has been spotted around Valerie did he have something to do with her death? There is so much going on and the story involves history of Jefferson and Washington as well as current times. 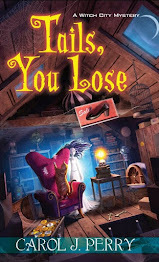 I really enjoyed it Ellen Crosby is like a fine wine getting better all the time! Facing a freak late-May frost that threatens to kill the grapes in her vineyard, Lucie Montgomery hires a helicopter to fly over the vines — in total darkness — stirring up the Arctic air on the ground so the fruit will not freeze. But her luck in salvaging the harvest runs out when she discovers the body of Georgia Greenwood, a controversial political candidate, lying near the fields. Georgia’s husband Ross — Lucie’s friend and doctor — immediately falls under suspicion. To make matters worse, Ross, a renowned collector of Civil War documents, has just discovered a letter that seems to prove Confederate President Jefferson Davis had prior knowledge of the plot to assassinate Abraham Lincoln. In the small town of Atoka, Virginia – proud home to Mosby’s Rangers, a legendary Confederate guerrilla company led by Colonel John Singleton Mosby, the “Gray Ghost” — the news is a bombshell. Three years ago Ross saved Lucie’s life after she was involved in a near-fatal car crash. Now she intends to return the favor and prove Ross’s innocence. As the search for Georgia’s killer escalates, Lucie crosses swords with her attractive but cantankerous winemaker, Quinn Santori, and confronts her own unwelcome feelings of jealousy over his new romance and job prospects. Her worries about her kid sister’s out-of-control drinking and a second vineyard-related death further ratchet up the tension. 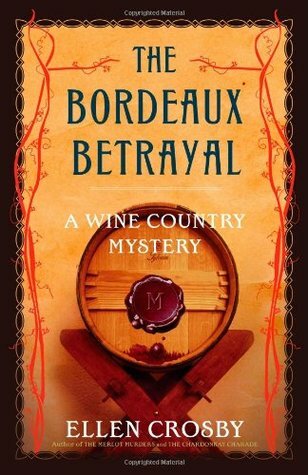 Even though Lucie believes in vino veritas — in wine there is truth — the path to uncovering a murderer involves making a heartbreaking decision that will alter the lives of those she loves. 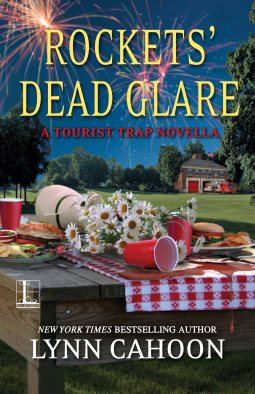 This is the second book in the wine mysteries in this one Lucie is dealing with a dead body at the vineyard along with her sister Mimi is out of control. When Georgia Greenwood is found dead by Lucie who has no idea why Georgia is there add to the fact that Randy their local worker at the vineyard is missing! Who killed Georgia and why? What happened to Randy and will Lucie get anywhere with her younger sister? This book was everywhere between the death of Georgia and how that impacts everyone who wanted to kill her. As Lucie digs she learns more and more about Georgia and her marriage to Ross the doctor who helped Lucie after her car accident. Then there was the relationship between Lucie and her sister who is going down a very dangerous road. Will Lucie and Eli be able to rally around and help her or is she totally out of control! This book follows Shannon Hammer whose having a bad day dating wise when she goes on a date with Jerry Saxton who turns out to be a world class jerk. When Jerry ends up killed and Shannon finds the body the heat is on to clear her name. As the bodies pile up the only thing in common are Shannon's pink tools. Who is committing murders? And why frame Shannon? We also meet Mac Sullivan a author of mystery books in this story and the heat is on. 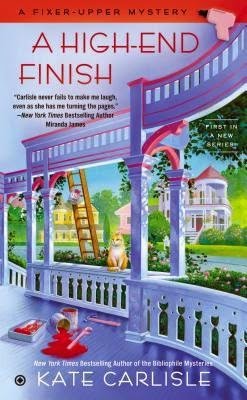 As Shannon investigates she learns more and more about the mysterious Mac and why he's chosen Lighthouse Cove to move to. Can't wait to see what is next in this series! While her bookstore, Haven’t Got a Clue, is rebuilt following a devastating fire, Tricia Miles and her sister, Angelica, decide to book a cruise for some much needed R&R. Naturally they choose a Mystery Lovers cruise, where they can ponder whodunnit in Adirondack chairs while sipping colorful drinks and soaking up some rays. 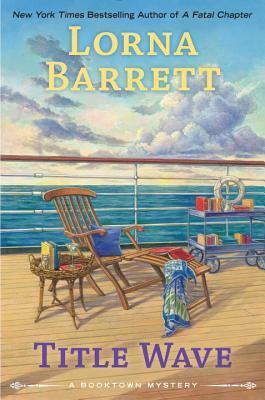 This book follows fellow residents of Booktown who are on a cruise ship meeting with various authors. What no one counted on was murder to follow Tricia. 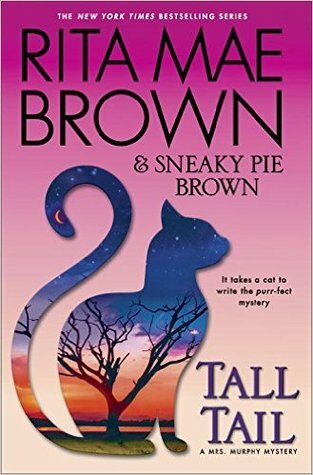 When an author E.M winds up dead and Tricia finds the body no one else seems to think it's murder but Tricia has her concerns. Will Tricia figure it out in time? Or will the murderer get away with it? I love this series it's fun to see what Tricia and Angelica are up too. This one was great because it brought in other characters we have seen and get to see what they are up to now. We also watch Tricia getting little anonymous gifts from someone mysterious? Could the mystery be good or bad? The odd part about this book was the situation with Tricia and Angelica's parents while their dad was happy to see them their mother was back to treating Tricia like crap for a long time ago incident. We see Tricia manage it best she can. We also learn more about the family history of the Miles girls. 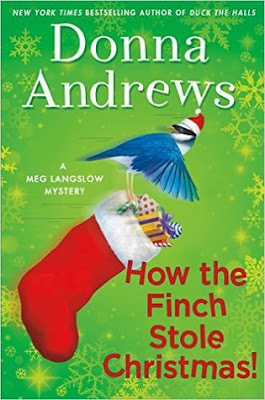 Title: How The Finch Stole Christmas! The show must go on, even if the famous―though slightly over-the-hill―actor who's come to town to play the starring role of Scrooge has brought a sleigh-load of baggage and enemies with him. And why is Caerphilly suddenly overrun with a surplus of beautiful caged finches? This book follows Meg and her husband Michael whose been working with a very difficult actor to put on A Christmas Carol which is making the Ebeneezer a saint compared to the actor named Malcolm Haver they are trying to keep sober and in line. Meg also finds herself knee deep in finches and can't figure out why other than her grandfather trying to foster finches all over town! When a local renter Johnny Willimer winds up dead and no idea what happened Meg finds herself more questions than answers! Will they figured who killed the renter and why? Will the play go on without a problem or will it get worse? I loved this series granted I had read one previous book I really need to catch up. Meg and Michael have their hands full with so much going on. I liked the banter between certain characters at time made me laugh. Such an enjoyable adventure to go on it was such fun and really was a great mystery as well! This book follows Joanna Brady very shortly after the novella which followed the death of her parents. In this one Joanna is still preparing for their funeral along with a double homicide of two women who seem to have nothing in common. Futher search leads them to a local school teacher who was one of the victims Susan seems to have more secrets than Jessica Fletcher has murders in town. In the course of the investigation Joanna learns more about those involved with Susan the more possible suspects appear! I enjoyed reading this book one of the authors I read early on in my book life. 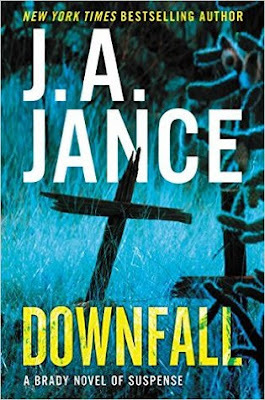 I was addicted to J.P Beaumont and after reading the novella about Joanna and Alli I was hooked and can't wait to see where the books lead next. This one kept me going late into the night wondering who the killer was and watching Joanna solve the crime!